Unlike building and selling mobile applications, launching electronics products to the market involves hardware and prototyping costs on top of professional services. 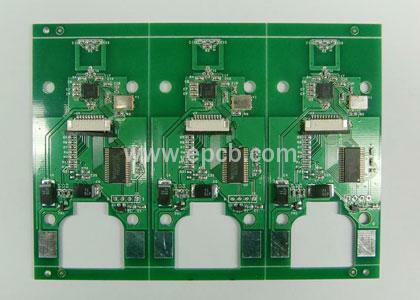 Therefore, choosing a right PCB prototyping supplier do make sense. Engaging a wrong supplier can cause high development cost with little results to show. Here are some helpful tips for choosing a reliable PCB prototyping supplier. There are thousands of PCB prototyping suppliers in Asian countries that can provide low cost and quick turnaround for your prototypes. Before start using any of them, make sure that they are able to communicate with you on the technical level because casual communication is pointless and time-waste. Prototyping costs can break your budget. Please check the cost about prototypes, shipping and any additional taxes or duty imposed with your PCB prototyping supplier, ensuring that there are no hidden costs which will cause nasty feelings. Electronic product development can be very competitive. It is the goal of many companies to enter into the market quickly without compromising product quality. Don’t trust those suppliers who promise to offer lower cost with fast turnaround. They often break their promise. At the very least, it is prudent to conduct a check on client’s review and feedbacks before cooperating with such suppliers. Outsourcing the prototyping part of your design cycle does not mean you should address poor quality issue. On the contrary, getting PCB prototyping correctly manufactured and assembled can save unnecessary troubleshooting time. If you entrust your suppliers with design work and you focus only on completed prototypes, you need to ensure that they have a solid team of experienced engineers to turn your concepts into working prototypes.